Sun had marked it's market entry with a graphical UNIX workstation, bundling all functions needed in a desktop (from email, to instant message; from network usage, to user presence,; from compilers to graphical debuggers.) During the 1990's, it was not uncommon to take Sun workstations in headless configurations and install them in rack configurations, to spread the load of work across farms of computing facilities. During the transition from 1990's to early 2000's, Sun had taken on a role in the Data Center with the creation of rack mounted equipment featuring "lights out management" and abandoning the monitor. With the entry into 2010's, Sun's premier operating system moved to Solaris 11, which defaulted the installation of headless servers to exempt windowing system Windowing can be added to a headless system. Sun's Solaris suite of desktop applications originally was build upon a BSD kernel with a windowing system called SunView. MIT released the X Windows System, which was merged into the Solaris environment. With the merger of AT&T SVR4 into Solaris, OpenWindows with OpenLook became the standard. The merger of a competing X Windows based MOTIF with OpenWindows occurred via a cooperative trade group called COSE creating the Common Desktop Environment, which became the default Solaris windowing system. The latest version of default desktop environment of Solaris systems based upon X Windows GNOME is referred to a the Java Desktop System. Oracle later purchased Sun. The windowing system is installed by default on systems containing video cards, but can be installed separately from a text based install on a headless system, via the new Solaris 11 Image Packagng System. The X Windows client applications used to be located in "/usr/openwin" for OpenWindows default applications and later in "/usr/dt" for CDE default applications. With the latest environment, X Windows applications are oddly installed in "/usr/bin". 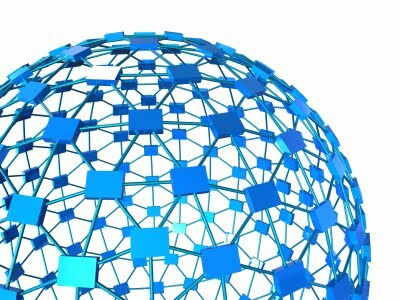 Higher level integrations to network management frameworks are normally facilitated through command line processes. SMARTS, the producer a product called InCharge, which was a market leader in event correlation, was later purchased by EMC, and consolidated the product into Ionix framework. In the EMC Ionix framework, a higher level enterprise management system integration utility ("sm_ems") simplifies integration. The sm_ems can be leveraged to perform basic interfacing through external languages. --server=[name]         The name of the server. Also -s.
--broker=[location]     Alternate Broker location as host:port. be created automatically if the -create-system option is specified. --element-class option to specify the class name. be created if it does not exist in the topology. option is ignored for the add-audit-log command. --traceServer           Enable tracing of server communications. a default value (typically "UNKNOWN") into the SourceEventType attribute. This option only works with a server newer than 6.2-SP2. event is a link failure. system clears the event when it is acknowledged. Update one or more the attributes of an event. [class], [name], and [event] to [owner]. must be the owner of the notification. be ignored for this option. notification identified by [class] [name] and [event]. --help                  Print help and exit. --version               Print program version and exit. --daemon                Run process as a daemon. --logname=[name]        Use [name] to identify sender in the system log. --loglevel=[level]      Minimum system logging level. Default: Error. --errlevel=[level]      Minimum error printing level. Default: Warning. --tracelevel=[level]    Minimum stack trace level. Default: Fatal. or Debug. Fatal is a synonym for Critical. identifies the facility to use for syslog messages. Lpr, Mail, News, Uucp, User. Default: Daemon. any host to connect. Default: --accept=any. interface address for SNMP and ICMP packets. --                      Stop scanning for options. One of the most powerful options from the "sm_ems" command is "summarize", to quickly review notifications from a manager. The Interface Record can be identified through the "IF-" prefix on the display name, assigned to the Interface class, and suffixed with a "/#". The Device Record can be identified through not having a prefix with a "-" on it and can be noted that this is also a Router class. For simplicity, the devices are always prefixed when loaded into smarts with "ABC_ in the above example. The output of the "sm_ems" command can easily be parsed in POSIX awk for extracts, integrity checks with external systems, and feed external management systems. The beauty of "nawk", in conjunction with "sm_ems" is the simple capacity to move from reporting to interfacing to foreign Ionix systems. To replicate the notifications from a source SAM to a destination SAM, a couple more nawk statements are all that is required, print out the command, and pipe it to a shell. The use of the "sm_ems" allows for a simple integration point into Ionix for reporting and can also facilitate the movement of notifications to foreign systems with standard POSIX commands like "awk". Network Management platforms perform monitoring, auditing, and management work of computing infrastructure. Most network management platforms target a particular aspect of management: Fault, Performance, or Configuration. SMARTS produced a fault managegment product suite called InCharge, which was later purchased by EMC and branded as Ionix - based upon the phrase "keep your eye on it". Integration into EMC Ionix is straight forward, leveraging a couple of basic command. The Ionix infrastructure is based upon a publish-subscribe system. Individual Managers (i.e. Availability Manager [AM], MPLS Manager, etc.) perform polling of devices and publish the results, Adapters (SNMP Trap, Syslog, etc.) perform simple gathering of information from foreign systems, Open Integration [OI] consolidates information from multiple adapters and publishes the information, and a Manager of Managers called Service Assurance Manager [SAM] subscribes to information from them all. A broker tracks all components. The dmctl can be leveraged to perform basic interfacing through external languages and even perform some subscription or publishing work. The sm_adapter a native mechanism to perform advanced interfacing through the proprietary internal language called "asl" scripting. The "asl" scripting is out of scope of this article. Domain Manager Control Program (V7.2.0.1) -- Type 'help' for a list of commands. This was a simple event notification. The device could be extended with an additional set of flas to uniquely define a managed resource, but this is beyond the scope of this article. * [rule-set]              ASL rules file. --model=[model]         Name of model library to load. Also -M [model]. --dynamic               Load dynamic model files. --name=[name]           Start a server registered under [name]. --port=[port]           Alternate registration port. Use with --name. --wait                  Wait for initial driver to complete. -D[var]=[value]         Override value for a rule set variable. --file=[path]           Read input from a file. Also -f [path]. --tailFromStart=[path]  Read input by tailing a file from the beginning. --program=[cmd]         Read input from a command pipeline. Also -p [cmd]. --field-separator=[c]   Translate 'C' to the field separator (FS) marker. a subscription to NL [name] is requested. specifies what subscriptions are to be requested. Multiple --subscribe options can be specified. --subscribeProp=[sub]    Subscribe to property changes. instances,and properties to which to subscribe. of the control messages too. Multiple --subscribeProp options can be specified. --server=[name]         Connect driver to remote server. --rserver=[name]        Auto-reconnect driver to remote server. --mcast=[name]          Connect driver to a local subscription server. --traceServer           Trace interactions with the back-end server. --trace                 Enable all tracing. Also -d.
Note, with the sm_adapter output, the information can be parsed using the vertical pipe "|". The sm_adapter can run individual "asl" script to perform the parsing in real time, but that is beyond the scope of this article. Integrating into Managed Service Provider frameworks for Network Management such as EMC Ionix is fairly straight forward and can be done by competent staff with POSIX scripting capabilities. IBM created a proprietary file sharing protocol under DOS referred to as SMB. This was adopted by Microsoft, and it later became referred to as CIFS. Open Source developers took a portion of the file sharing suite an implemented it under a product called SaMBa. Solaris 10 ships with an installation of SaMBa to allow for rudimentary SMB and CIFS cfile sharing. Check to see if you are working with a fairly recent release of Solaris 10, with the SaMBa support. The Service Management Facility (SMF) will identify the failed service and log the problem. Debugging is fairly simple - just look for the configuration file. In this example, there is none. # Configure Samba to enable or require SMB signing as appropriate. To test your installation, from a Windows platform, try to browse the temporary directory, or read a sample file which you know is in the directory. The SaMBa configuration under Solaris 10 is simple and managed well by the Service Management Facility infrastructure of Solaris 10. 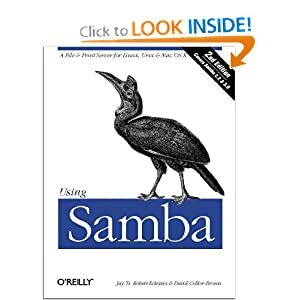 Editor's Note: This blog article was published in 2011 and adjusted in 2017-08-14 to add Signing and Authentication enhancements to the default SaMBa configuration. What do CoolThreads Cores & Crypto Engines Buy You? "SPARC T1...That CPU had a cryptographic accelerator in it. Later, the SPARC T2 improved things by implementing a Crypto engine in each of the 8 cores." The move from 1 to 8 was not with the Crypto units, but with the Floating Point Unit, when moving from the T1 to the T2 processor. "The eight MAUs, one for each core, are driven by the Niagara Crypto Provider (NCP) device driver in the Solaris 10 OS for both UltraSPARC T1 and T2 processors. On systems with UltraSPARC T1 processors, NCP supports hardware assisted acceleration of RSA and DSA cryptographic operations. On systems with UltraSPARC T2 processors, NCP supports RSA, DSA, DH, and ECC cryptographic operations"
8 Integer, 1 Floating, 8 Crypto engines. The Crypto instructions in the new Intel chip was to assist in Crypto work, but the CPU cores have to work to process the data. Contrast the Intel architecture to the T Series: the CoolThreads Crypto units are completely parallel... simply speaking, the CPU dump a pointer to the Crypto core to work on on a set of bytes to encrypt/decrypt, the Crypto core ends a message back to the CPU when it is done. The CPU can do real work during the time the parallel Crypto unit is operating. This is pretty close to how it all works, considering that this layman did not design the CPU's. In total, for workloads that are heavily encrypted (databases, file systems, web servers, middleware, etc.) - the T processors are the processor of choice. It makes NO SENSE to buy CPU's without Crypto engines (i.e. Intel) where the central processing power that you are paying licensing points for has to burn those license points doing Crypto work instead of off-loading the work to 8 or 16 different crypto engines (for free) and then only pay your licensing for the work that the CPU is really doing for your applications. When working in a clustered environment, it is often a requirement to see if the appropriate packages have been installed on all platforms in the cluster. The number of packages on a platform are many, but a simple script can be helpful. The industry standard packaging for UNIX systems is UNIX SVR4 packaging. Standard tools for packaging include: pkgadd, pkginfo, pkgtrans, pkgrm, pkgmk, pkgchk, pkgparam, pkgproto, pkgadm. For a cursory view of a system, the pkginfo command provides basic information required for cursory consistency checks. If the identical install media is used, a simple post-install check may be desired across multiple platforms in a cluster. An sample script follows where sun1, sun2, sun3, sun4 are located on a network where temporary directories are shared via NFS and automounting is enabled. A simple output of 4 columns is produced, with differences. Check detailed integrity of files associated with packages, including existence, permissions, etc. Check versioning, architecture, dates, install integrity, etc. The package checking script can be enhanced with such scripts for more robust checking. During the installation of Solaris 10 Update 9, there may be several odd symptoms that might catch an installer by surprise. If logging into a server with "rlogin", "telnet" or "ssh" taking a long time, try to perform a "prstat" during the login process. You may get about 20 seconds to figure out what is going wrongly. The "root" user may not experience the delay. Ensure quota and nfs partitions are properly configured on a newly installed system. Some common operations may occasionally fail, for no apparent reason, such as: ping, telnet, ftp, etc. This is usually a name resolution issue. DNS is more commonly run by non-robust operating systems, so these types of errors may become more frequent. If you have a variety of servers in a cluster or network management servers, where the ip addresses do not change - one may wish to basically guarantee the name resolution for those connections attempts by adding those ip & server entries to the "/etc/hosts" file and adjusting your "hosts:" option in the "/etc/nsswitch.conf" to perform a host table lookup before going to DNS via: "hosts: files dns". Don't let an consumer appliances, immature or consumer grade operating systems place your mission critical operation at risk. Solaris 10 offers a large variety of services to the user and application community. If functionality you are expecting is not working "out of the box", it is a good chance there is a security reason for it. The best place to start is by getting a description of that services are available. svc:/system/pkgserv:default                        Flush package command database to disk (see pkgadm(1m)). The Service Management Facility in Solaris 10 offers the ability to understand the relationship to other services. The Fault Management system is enabled through the Service Management Facility. The Fault Management infrastructure built into Solaris 10 monitors many of the core system features across architectures (both SPARC and Intel.) A listing of the current engines can be displayed via the "fmadm" command. The faults on a system can be listed. Not all diagnostics are managed through the Fault Management system via Service Management facility. There are still some hardware features which can only be seen via the Print Diagnostics command (such as fan speed.) The "prtdiag" command gives visibility to these components. Oracle just released the best tape drive unit on the market today, for Government, Managed Services, and Enterprises. The old portable cassette players, with tapes, were very reliable when driving, jogging, or even playing at home. Older had disk based iPods would experience skips when one goes out jogging, but quickly started to put portable cassettes out of business. Of course, flash media is now replacing spinning fixed disk systems, but the capacity is not quite there to replace rotating fixed media for larger capacity systems. There is a reason why tape has been so widely used in the Space Program - the reliability of long term use on satellites and craft like the Space Shuttle. Transferring data from a hard disk during a jog will cause a skip. Transferring data from a spinning disk under massive G-Force of a space craft launch, you are likely to get a crash. Disks were getting more portable with the ability to auto-park heads to better absorb shock, disks could spin down to avoid shock issues, and the storage was surpassing tapes. Tape storage solution seemed to show little benefit in modern era. With native storage on had disks topping out at 2 Terbytes, there seemed like little hope for tape. In an era where Network Management Centers are centralized and managing customers world-wide, governments require the interactions of system analysts to be archived and stored for long periods of time. Often, these interactions require video streaming from a desktop screen in a Windowing environment. Writing this archive data to disk does not pass an audit, since someone can come along and delete a file. 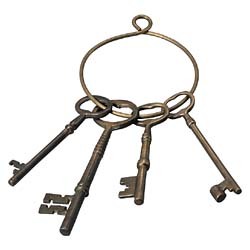 Encrypting the data becomes important, for long term storage. Massive media requirements are driven by screen video capture. The StorageTek T10000C will meet the requirements of the strictest audit, the streaming throughput of the largest managed services center, the capacity for the highest definition monitors, and the lowest cost requirements of those large centers. Don't miss your opportunity to simplify life in your managed services data center.